For me, the best part of travel is connecting with locals and experiencing the culture through a local perspective. There’s nothing like seeing a place through the eyes of a native. It’s like exploring someone else’s home; only they know the special spots and unusual spaces. That’s exactly how I felt on Greg’s Safari tour of St. Kitts. A fifth generation Kittitian, Greg revealed the nuances and details of the island that I surely would have missed on my own. The Land Rover supplied plenty of views of the streets and daily activity of Kittitian life. But we also made lots of stops, sampling genips, (a tart, round fruit that grows in bunches) gazing at guava and starfruit trees and trying to sneak up on goat herds. 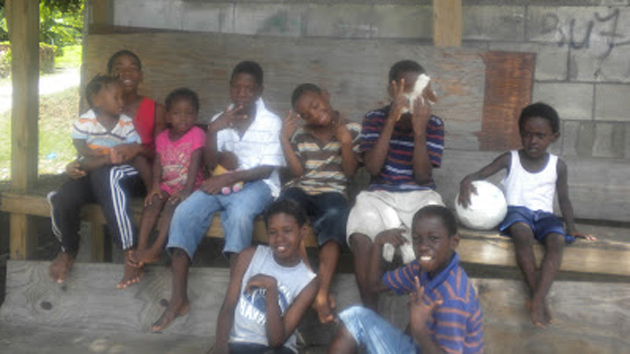 One of my favorite parts of the safari was meeting St. Kitts children. A group of boisterous kids playing in a yard was eager to take photos and see their images in my digital camera. They were a jolly bunch, cracking jokes and offering advice on where to go next. Sugar was the main crop for St. Kitts for centuries, so there are scads of old plantations left. Several of the abandoned houses were surrounded by lots of key lime, frangipani and palm trees in the backyard, which we explored. Sugar mills also dot the landscape as a reminder of how significant the industry once was. Sugar production stopped in 2005 but St. Kitts still retains a big emotional connection, which is why the mills and plantations remain. Next was the Whytehouse Estate, a haunted plantation which I declined to enter. (I’m just not into chillin’ with ghosts). Built in 1600 as a Carmelite nunnery, it was turned into a sugar plantation in the 1700s. Reportedly, two families have left the place because of strange happenings like the piano playing itself and windows opening and closing without a trace of wind. Some people have glimpsed a woman in a white dress walking through the empty house. I didn’t want to glimpse anything, so I carefully walked around the perimeter. You won’t find traffic, stop lights or any sort of hurry in St. Kitts. Horns only beep to say hello. 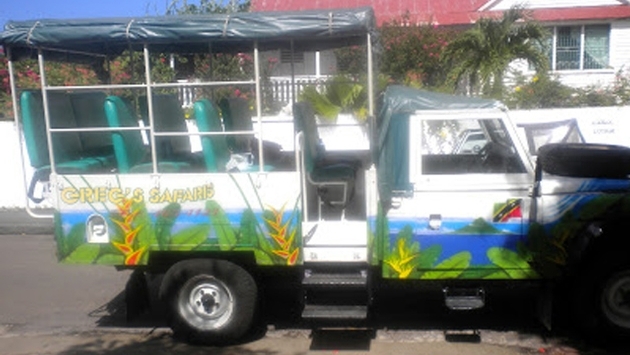 During the entire three-hour tour across the island, I think we only saw three or four cars moving along the roads. It’s a peaceful place and life on St. Kitts is sweet enough to understand why it’s earned the nickname of Sugar City.